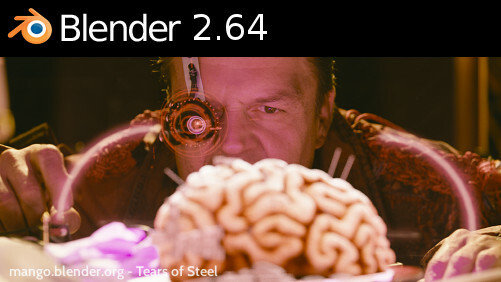 Blender 2.64is released. This release contains all the major updates and plug ins till date.This release is more concentrated on the movie and vfx platforms. Tightly integrated full vfx pipeline, improved motion tracking with planar tracking, easier green screen and new mask editor are the new addition to this release of Blender. Besides this improved Cycles render, tile based compositing,advanced color management, improved game engine and sculpting etc are the new attractive features. Following is the movie 'Tears of Steel' created with Blender.